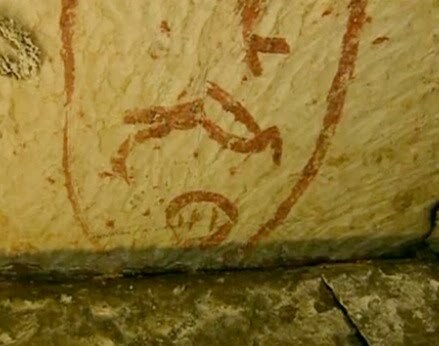 Still from a documentary featuring Dr. Zahi Hawass showing Khufu's name in the uppermost relieving space. 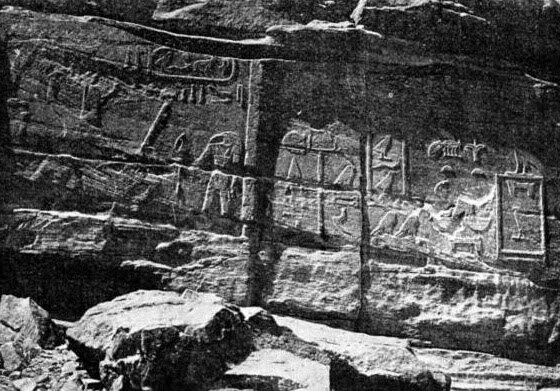 Middle kingdom graffito from the Wadi Hammamat. 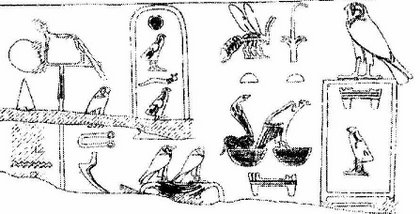 The names in the cartouches are (from right to left): Khufu, Djedefre, Khafre, Hardjedef (or Djedefhor), Bauefre. 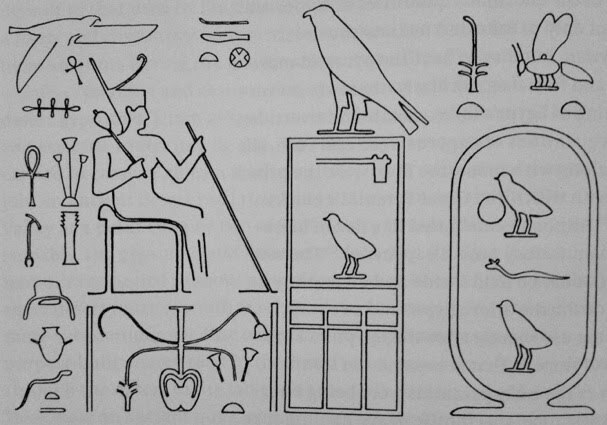 The theophorus element 'Ra', is part of the name of Hordjedef within the cartouche as with the other names, but this form is not attested elsewhere. 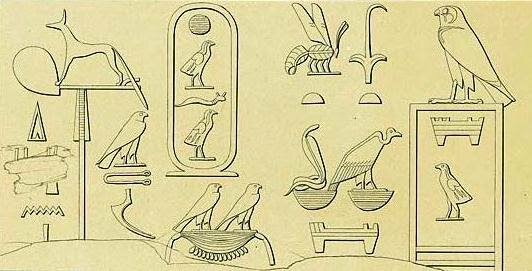 The 'base' of the cartouches of Hordjedef and Bauefre are slightly different than the others which may be significant. Hordjedef and Bauefre are not mentioned as kings on contemporary lists. 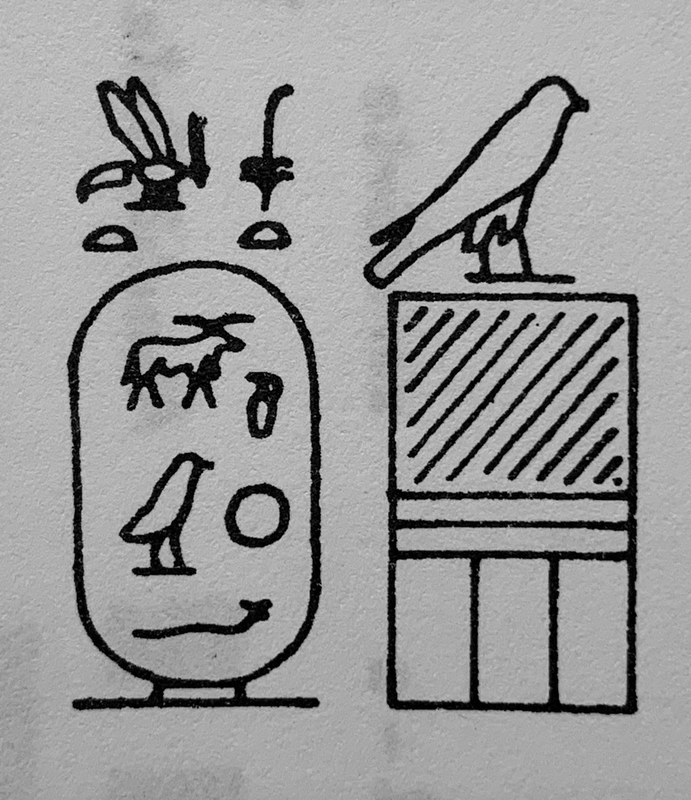 The early Dynasty 5 tomb of Sekhemkare has the following inscription: The imakhu ('(s)he who has been provided for') in the sight of his father the king, and in the sight of the Great God, and in the sight of the Dual King (nswt bit) Khafre, the Dual King Menkaure, the Dual King Shepseskaf, the Dual King Userkaf, the Dual King Sahure. 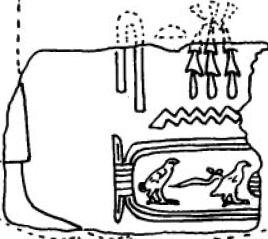 An early Dyn 5 tomb of Netjerpunesut also mentions Djedefre before Khafre, Menkaure, Shepseskaf, Userkaf and Sahure. 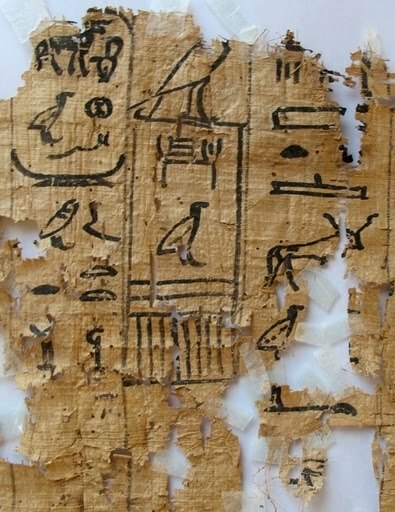 These contemporary 'lists' do not mention Hordjedef or Bauefre (both sons of Khufu). 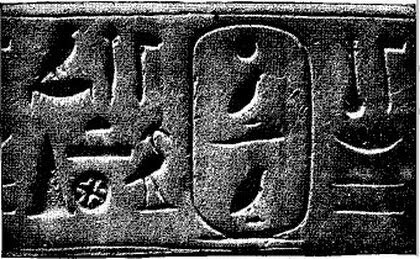 A drawing of a fragment of a limestone block with the titulary of Khufu. 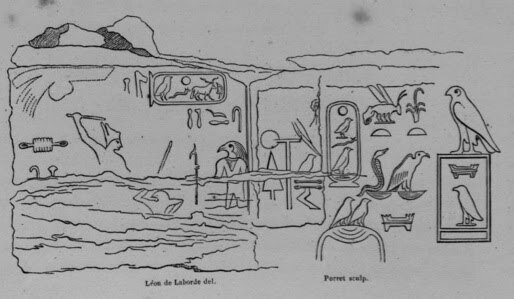 Originally from Khufu's mortuary complex, it was re-used in the pyramid of Amenemhet I at Lisht . 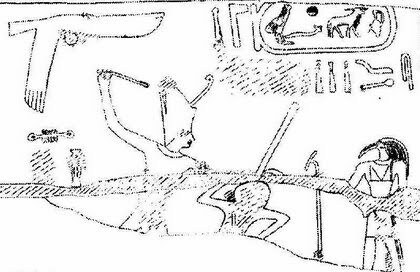 Horus Mededju (Hrw mDdw), 'King of Upper and Lower Egypt', the two Ladies the golden Horus, Khufu. 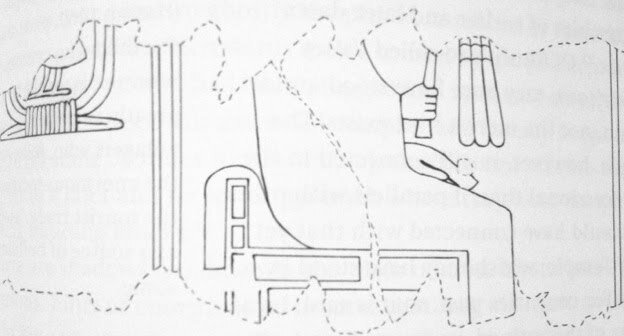 Line drawing of a fragment of a limestone block originally from Khufu's mortuary complex, re-used in the pyramid of Amenemhet I at Lisht. 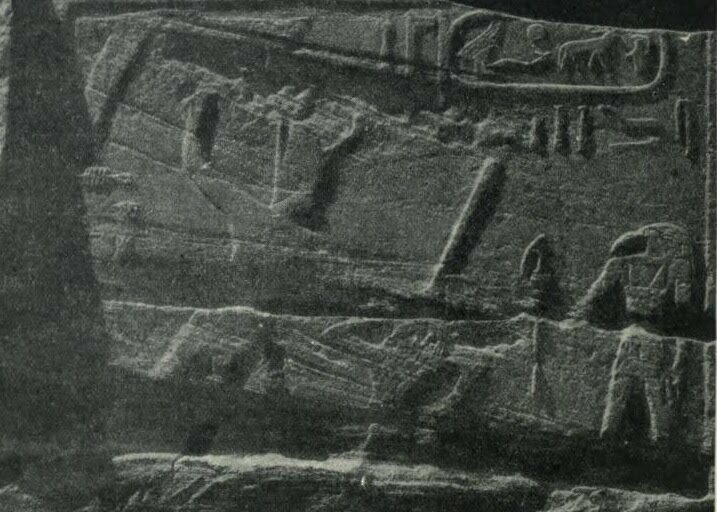 Inscription: "building the sanctuaries of the gods"
Africanus (using Manetho for his source): "Forth Dynasty of eight kings of Memphis, from another line: 1. Soris, 29 years. 2. Souphis, 63 years. 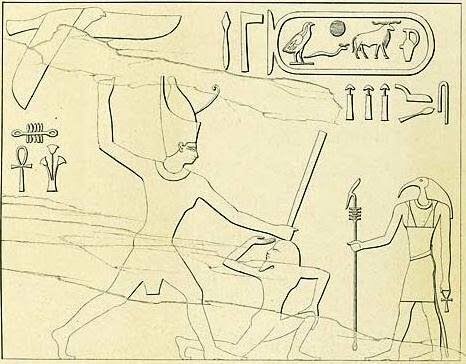 He erected the Great Pyramid, which Herodotos says was built under Cheops. 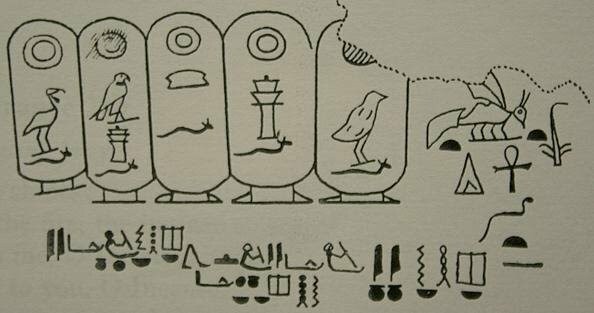 He also became disdainful of the gods, and composed the Sacred Book. 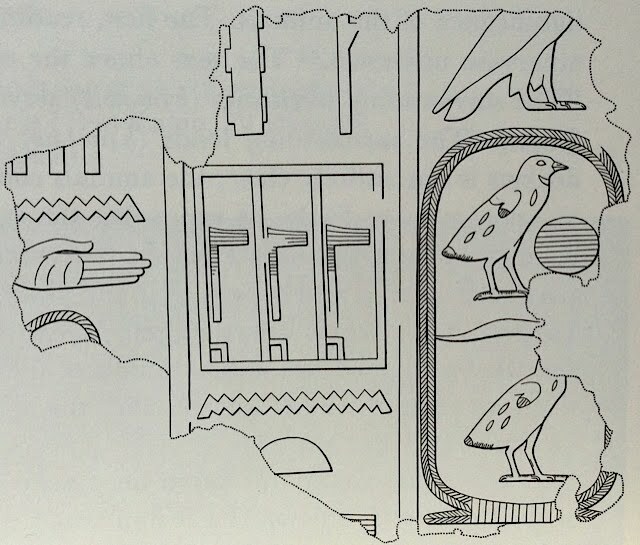 This I acquired when I was in Egypt, because it was a great treasure."